In the Spring of 1970 Michael Butler and the companies of Hair pledged their support to the United Nation's World Youth Assembly (to read an article about this click here). 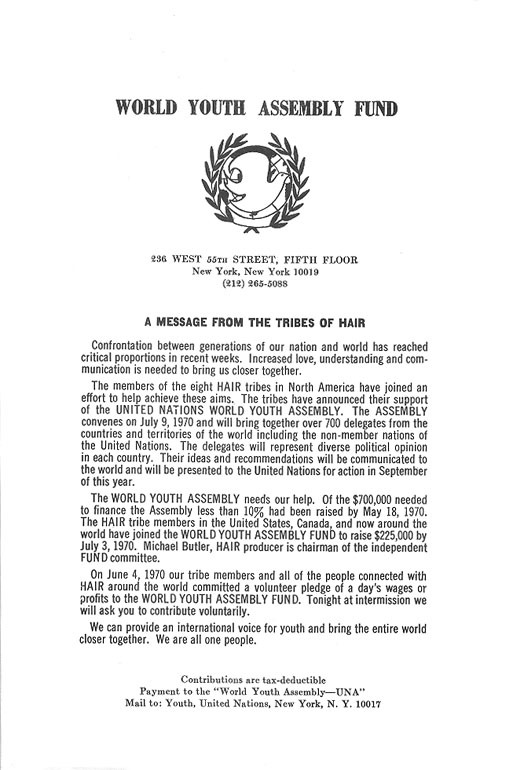 On June 4, 1970 the tribe members and all of the people connected with Hair all over the world pledged a day's wages and/or profits to this cause. This program insert was put in all the playbills of all the Hair companies to help to raise money for the Assembly.